We’re finally back! It’s been a while and hard work aligning our diaries, but Mike and I (no Russ unfortunately) have finally caught up after so long. And we have a lot to talk about! In this episode we discuss the news, the 1.19 show in January, and then review the Madonna Cover ‘Live to Tell’ taken from the album Delirium. Madonna’s original ‘Live to Tell’ – check it out! We’re back with a new episode of the Emptyspiral Podcast. 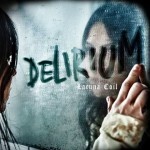 In episode 126 we talk once more to fellow Lacuna Coil fan Ivana and then review the song ‘Ultima Ratio’. Here’s the first time Ivana joined us – back in 2013! Check out our video of Ultima Ratio, recorded live in Glasgow.